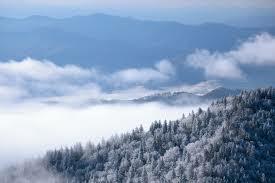 The Smoky Mountains of Tennessee are without a doubt some of the most breath taking views you will ever encounter. However, when winter hits and those mountains become snowcapped the view becomes something to stand in awe of. 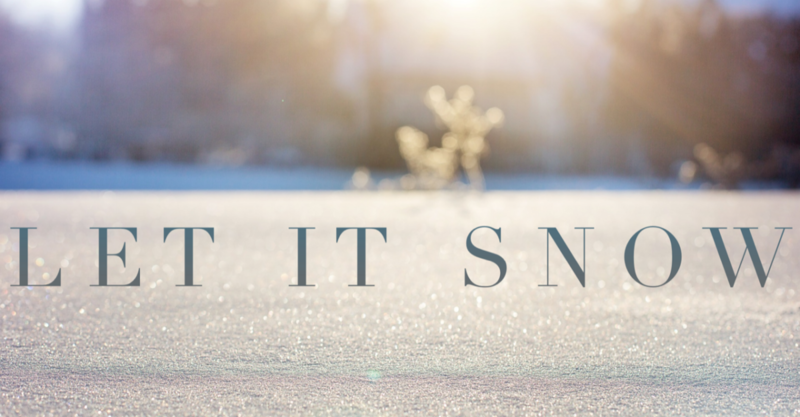 There are so many places that you can go to gaze at God’s hand painted winter scenery, but there are several worth mentioning specifically. Cades Cove, is located approximately 26 miles from Pigeon Forge. 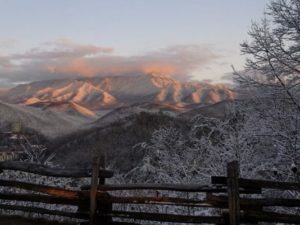 There is no question that it is worth the drive during your stay in the Smokies. This 11 mile loop is one of the most picturesque scenes you will see. It will take you back in time to days with little white church and fields upon fields of protected wildlife. 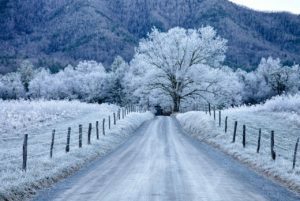 Cade’s Cove is especially breathtaking during the winter months when you can see the deer tracks through the freshly fallen snow and icicles hanging from the tall pines. According to cadescove.net, you can expect to spend between 2-4 hours at this particular destination. Of course, you can make an entire day out of this adventure depending on how long you want to explore the history of Cade’s Cove. Cade’s Cove features two churches, two log cabins, four home places, an old mill, and beautiful falls. One visit won’t be your last, as you will find new adventure and new wildlife each season you visit. The Gatlingburg Sky Lift has been a staple in Gatlinburg since 1953. At a 1,200 foot vertical drop this lift sits at the base of the Smoky Mountain National Park. It is open all year around, but through the winter season, from November to March it operates from 9am to 9pm. 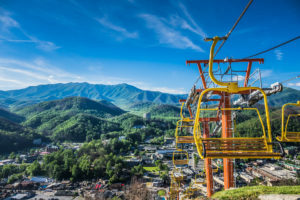 The Gatlinburg Sky Lift is a great way to view the best of both worlds. Sit as the lift gently swipes you up and begins gliding you up the mountain. 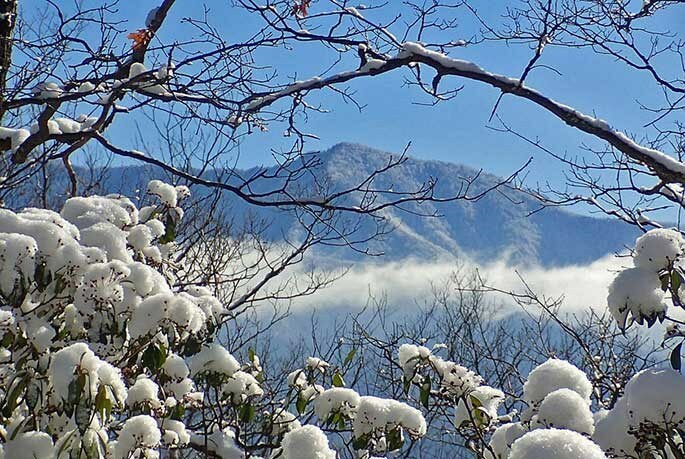 On the way up you will begin to see the beauty of the Smokies all around you. The sounds of the streets below drift away and you feel as though you are floating through nature. Making the turn at the top, you are now at the best viewing spot to see all of Gatlinburg below and swiping mountains on all sides. No matter if you are going up or coming down, you are guaranteed to have a spectacular view. The Gatlinburg Sky Lift is a must when in Gatlinburg in all seasons. 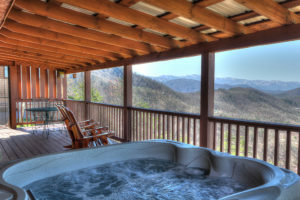 Valentine’s Day is coming up quickly and what better way to spend winter in the Smokies, than cuddled up with your significant other in the hot tub, listening to the swaying leaves and sounds of wildlife at your Maples Ridge Cabin. Sometimes, the most relaxing vacation is one where you do just that, relax. Whether there is freshly fallen snow or just a crisp chilly mountain day, your Maples Ridge cabin will always be one of the best viewing spots for the scenery all around you. 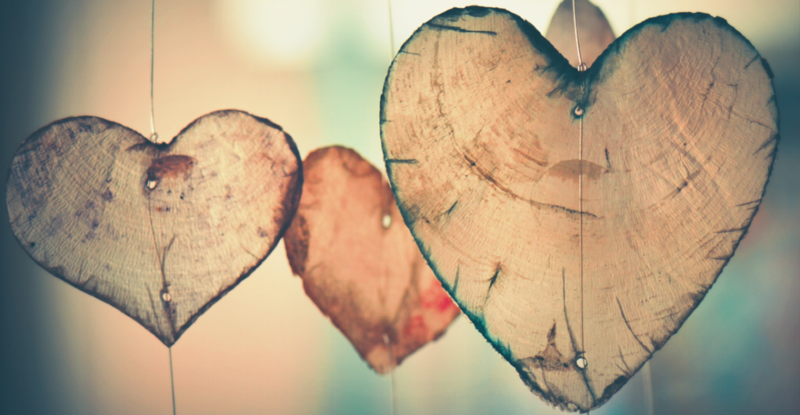 Plan a relaxing, romantic night in, by visiting our local mart Whaley’s, and having dinner in your secluded mountain hideaway. 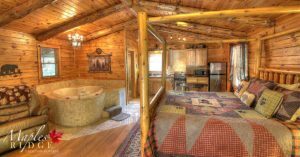 Choose between a one bedroom to spend with your husband/wife, or any of our larger cabins to include the whole family. 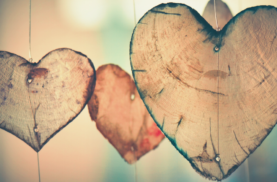 No matter who you bring along, Valentine’s Day in the Smokies is the best Valentine and winter vacation you will ever have. As you can see the Smoky Mountains is a great place to visit for anyone who loves to get away and see the natural beauty that God has so graciously gifted this magnificent area. 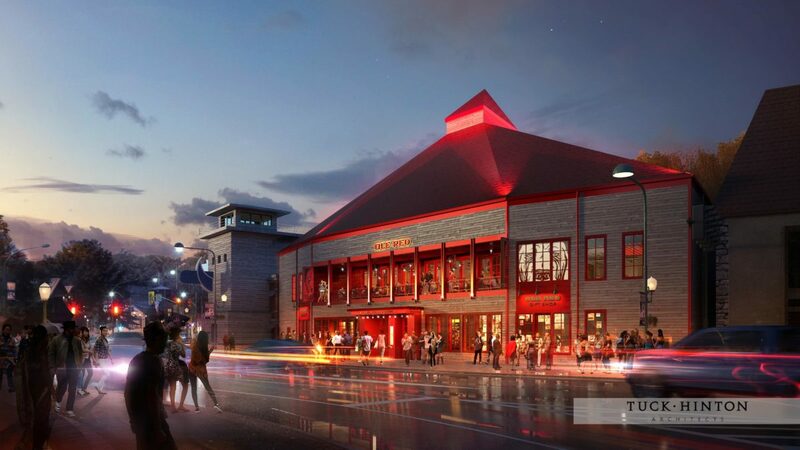 Anyone that enjoys a place where there is an option to “getaway” as well as one that has an amazing entertainment and thrill seeking aspect, is sure to enjoy their Smoky Mountain stay no matter what you enjoy doing. There are endless possibilities here in Pigeon Forge and Gatlinburg. 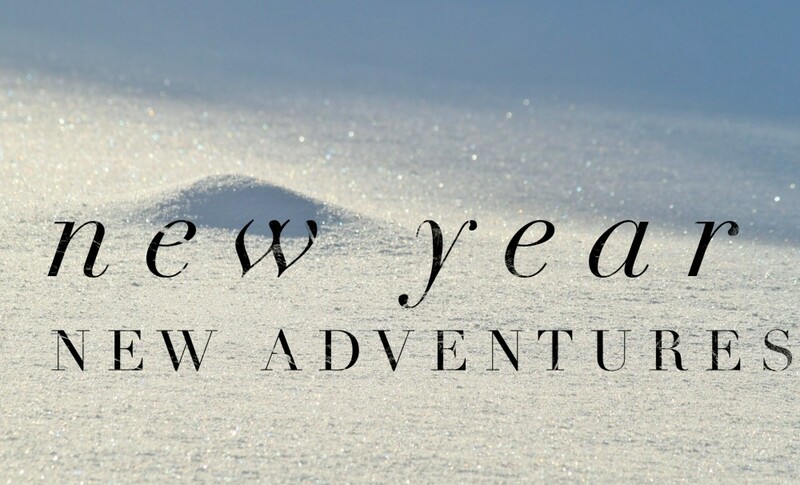 So make sure to book your trip today by calling and speaking with the friendly staff at Maples Ridge to get the most out of your vacation.